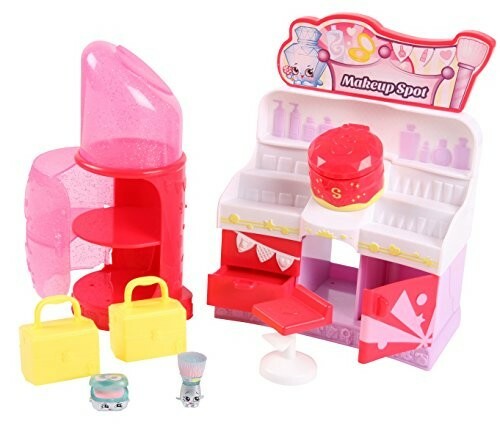 FASHION MAKEUP SPOT - Pop your Shopkins in the lipstick display case. Sit them on the stool for a makeover and slide out the stairs for more show space. 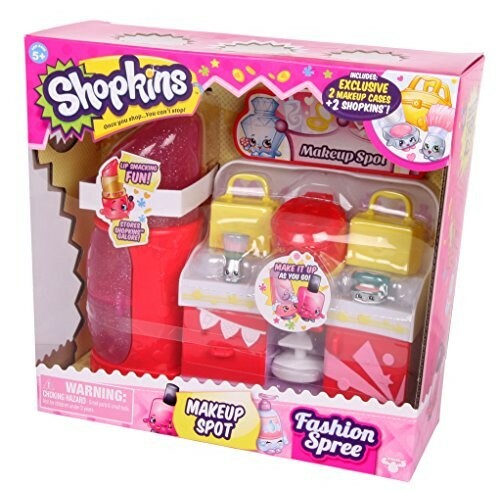 MAKES A GREAT GIFT - This Shopkins Fashion Spree Makeup Spot will make a thoughtful gift for your little one. Save on time, money, and headache while doubling the fun for your fabulous girl. CREATIVE ROLE PLAY - Shopkins' play principle stimulates imagination and creativity and thus promotes child development. DOWNLOAD THE SHOPKINS APP - Now you can have even more fun with the new Shopkins app. 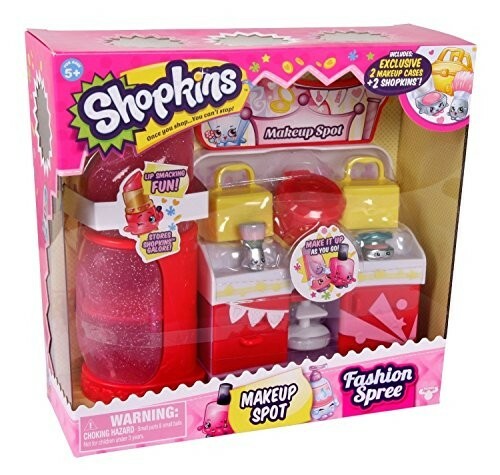 PACKAGE CONTENTS - Shopkins Fashion Spree Makeup Spot Comes with exclusive Makeup cases and 2 Shopkins. Perfect for kids 5 and up. This product is listed on amazon using an ASIN of #B00U5O8TZE	with an original MSRP	of $17.99	. Product prices and availability are accurate as of April 16, 2019 and are subject to change. Any price and availability information displayed on Amazon at the time of purchase will apply to the purchase of this product. Certain content that appears above comes from Amazon Services LLC. This Content is provided 'AS IS' and is subject to change or removal at any time.